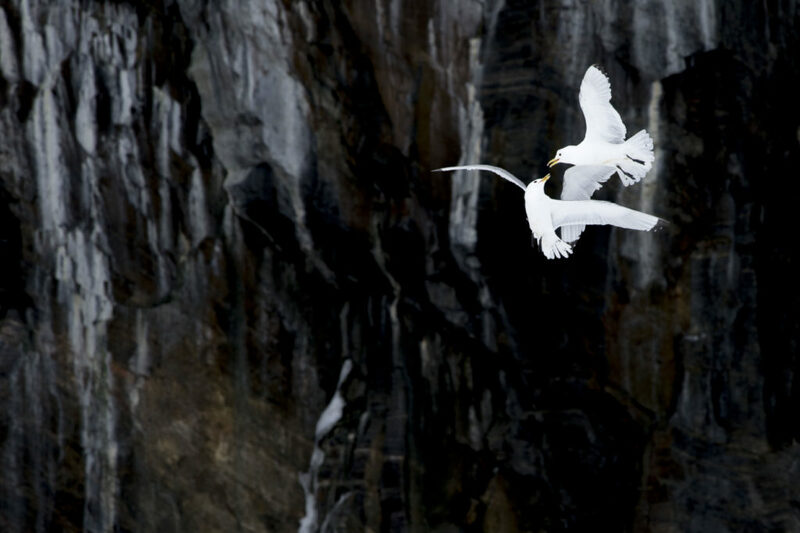 The Arctic is home to some of the most incredible birds. While some birds are full time residence, others migrate all the way from South America seeking refuge for their nesting. With opportunities to see thousands of birds in the High Arctic, the floe edge is an excellent destination for birders. One of the most recognizable birds, the king eider can be seen in Canada’s High Arctic at the floe edge in spring and early summer. The male has a mostly black body with a white breast and multi-coloured head. The female is a warm brown colour, with a slightly paler head and neck. 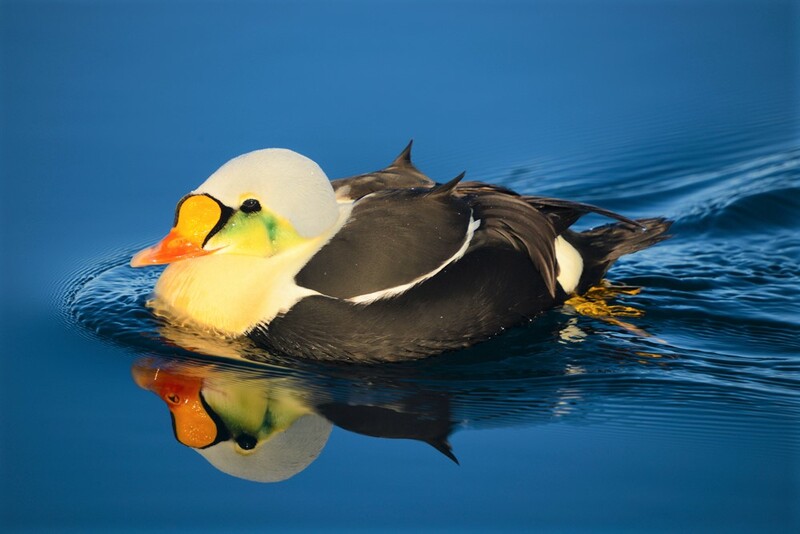 A large sea duck, the king eider are circumpolar and breed along the Arctic coasts. 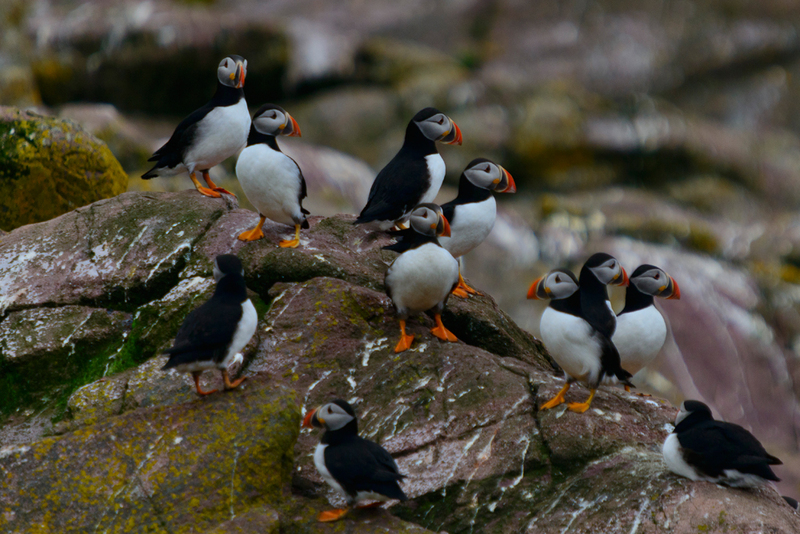 The birds spend most of the year along subarctic coastal areas and migrate to Arctic tundra to breed in June and July, preferring to nest on the ground next to a small lake or on small islets on the coast. 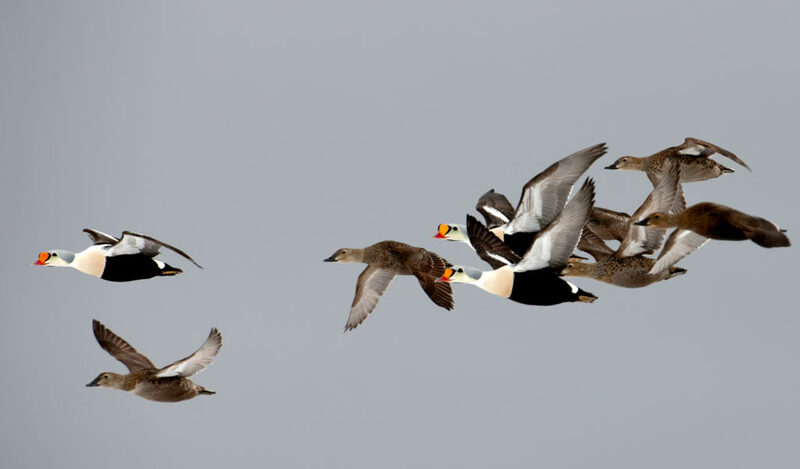 King Eiders are very social birds and can form flocks exceeding 10,000 during spring migration. At the northern reaches of Baffin Island, the floe edge is an incredible place for viewing King Eiders. 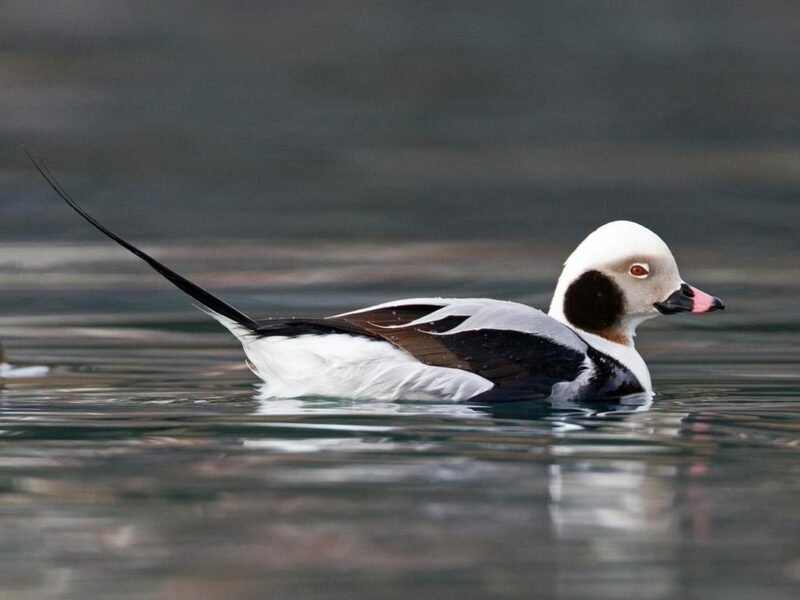 Once known as the Oldsquaw, male Long-Tailed Ducks have a distinctive long pointed tail. A migratory bird, Long-Tailed Ducks breed in the Arctic Ocean region while they winter along the eastern and western coasts of North America and on the Great Lakes. Long-Tailed Duck are the only duck to use their wings to dive underwater, making them the deepest diving duck at 60 meters (200 ft). When foraging, they can spend three to four times as long underwater as it does on the surface. In winter, the male has a dark cheek patch on a mostly white head and neck with a mostly white body but dark chest. In summer the male has a dark head and neck with a white cheek spot. The female, with a short-pointed tail, in winter have a brown back and white head and neck with a dark crown. In summer the female has a dark head. While most ducks will molt twice a year, the long-tailed duck has three distinct plumages. Unlike other waterfowl they wear their ‘breeding’ plumage only in winter and wears its ‘basic plumage’ during spring for their breeding season. The Snow Goose is notorious to the Arctic. They are identified by their white bodies with black wingtips, and pink bills with a dark line along it, called a “grinning patch.” Some Snow Geese have a dark body with a white head. The birds with this colour variant are called a “Blue Goose”. 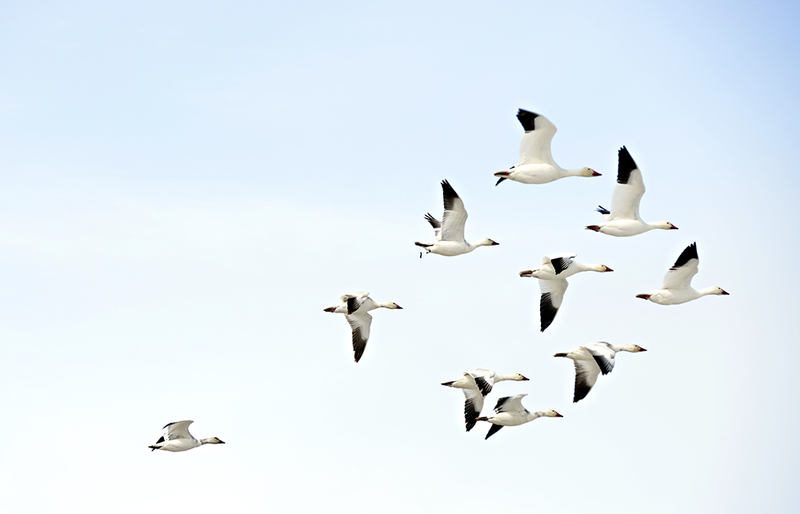 Snow Geese are migratory birds, travelling more than 4,800 km (3,000 mi). They migrate from traditional wintering areas on Gulf coastal plains or Atlantic coastal plains to the northern tundra near the coast of the subarctic and High Arctic. 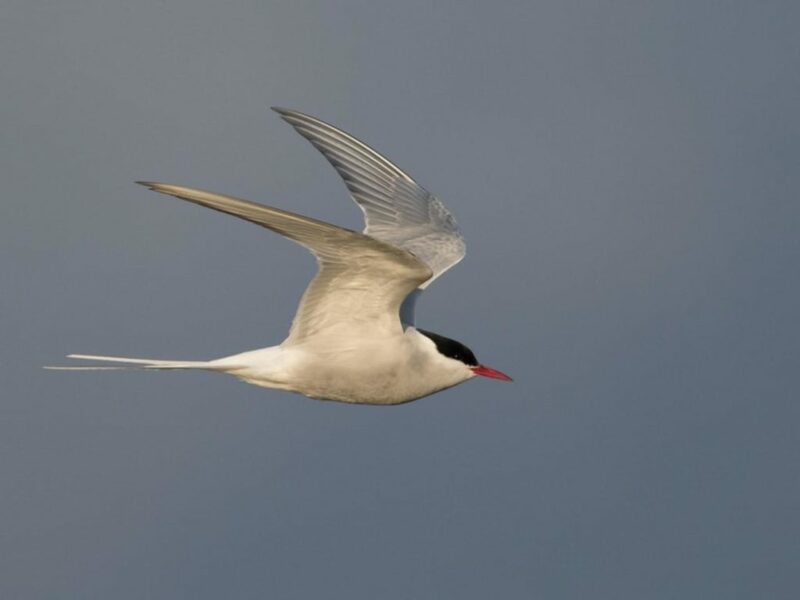 A small and slender bird, Arctic Tern have distinctive long, angular wings with pointed wingtips and a forked tail. Breeding birds are pale grey with a full black cap, a red beak and red legs. Nonbreeders have a grey body with a black cap but have black legs, a black beak and a dark grey bar across their shoulders. This bird has the longest migration of anything in the animal kingdom. Flying from pole to pole, their round trip is 40,234 km (25,000 mi). This allows them to experience summer conditions twice, enjoying summer in the northern hemisphere before migrating to Antarctica for the southern hemisphere’s summer season. Preferring to breed in treeless areas with little ground cover, they’ll breed on small islands or barrier beaches along the northern tundra and Arctic Ocean. This makes the floe edge of Lancaster Sound an excellent location to spot them in May and June! 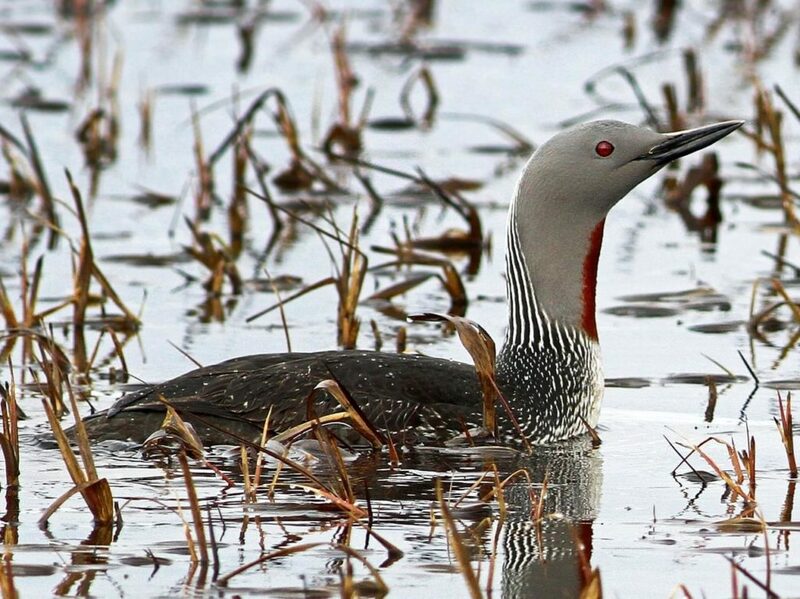 (www.allaboutbirds.org)Throughout winter, the Red-Throated Loon has a simple grey and white plumage but during the breeding season it acquires its distinctive reddish throat patch. The smallest and lightest of all loons, it is the only type of loon that can take flight directly from land. Due to their size and weight, most loons need the patter on the water’s surface to create the lift to help take flight. A strong flier, the Red-Throated Loon has recorded flying speeds of between 75 and 78 km/hour (47 – 48 mph). Considered the most widely distributed type of loon, it breeds primarily in the Arctic regions (north of 50oN latitude) and winters along both coasts of North America. During breeding plumage, male Red Knot will have a reddish head and breast but during the rest of the year are grey. Female breeding plumage include light-coloured breast feathers. During winter they look very similar to males. Incredibly, these birds meet in an enormous concentration on Delaware Bay, an important staging area for them in the spring. It’s believed that up to 90% of the entire population can be found on Delaware Bay for at least one day before their migration begins. 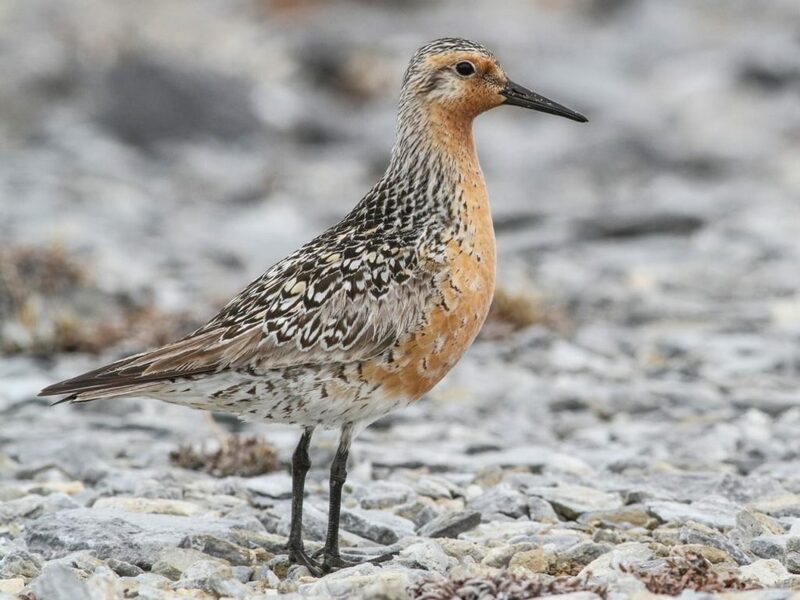 Red knots have one of the longest migrations of any bird traveling more than 15,000 km (9,300 mi) from North America’s High Arctic to coastal areas of South America. 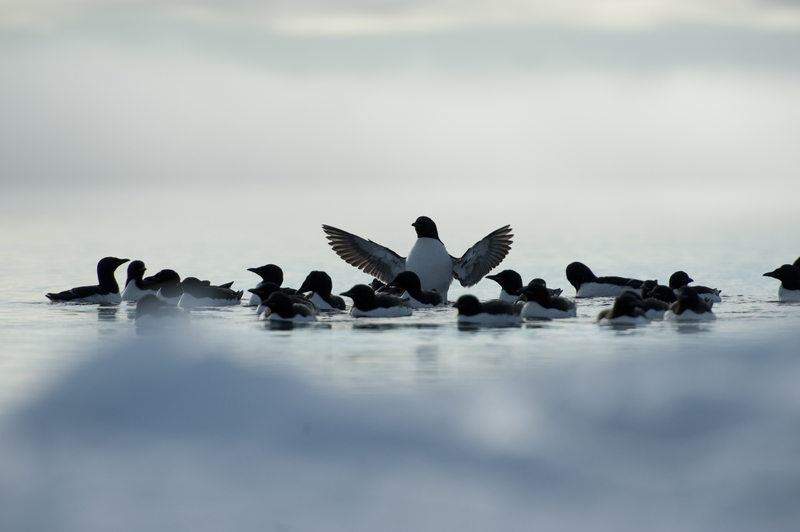 Canada’s High Arctic is one of the most spectacular birding destinations in the world. The floe edge of Lancaster Sound is an incredible place to find these colourful birds. It is also a chance to see and photograph rare birds in full plumage in a place that few people have experienced. You can view Arctic birds at the floe edge on Narwhal & Polar Bear Safari and the Ultimate Floe Edge Explorer. Want to book an Arctic birding experience? Contact our Arctic Travel Advisors here for more information.